Help companies get the capabilities and control they need for today and tomorrow with Microsoft Content Services, powered by Office 365 and SharePoint. 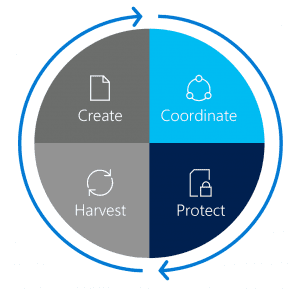 Microsoft is redefining enterprise content management (ECM) with a modern, end-to-end set of software and services to connect entire workplaces and enable intelligent content management. Our content services platform provides security, scalability, compliance, and allows employees anytime, anywhere access. To help accelerate customer success with Microsoft Content Services, Microsoft would like to recognize our principal partners in content services. We launched the Content Services Partner Program to support our partners delivering solutions that make the transformation of your content management approach practical and attainable. 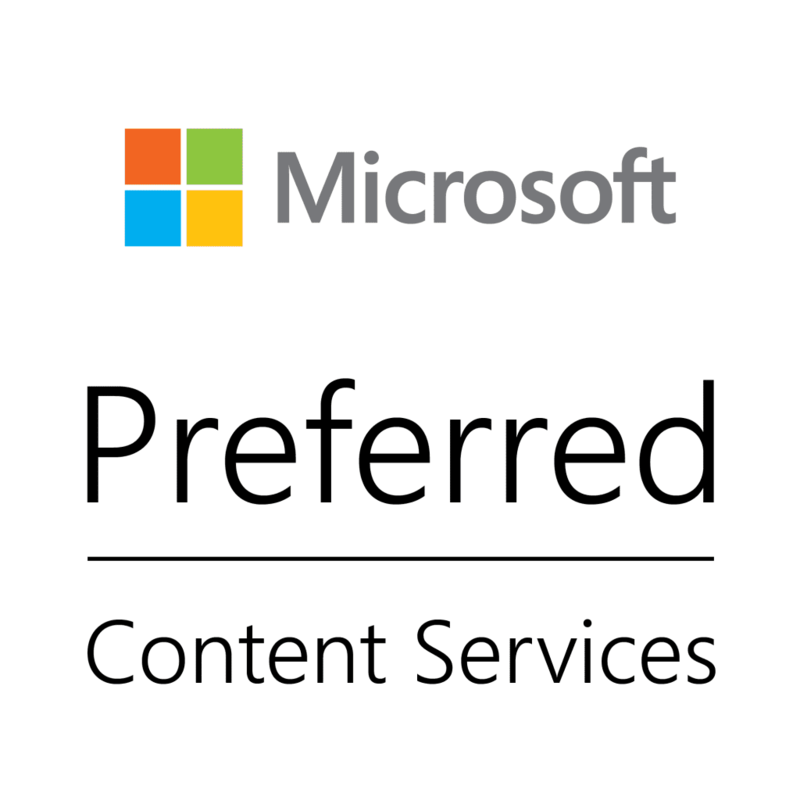 The following Microsoft partners have been recognized as FY19 charter members of the program, and identified as “Microsoft Preferred – Content Services.” They are listed along with case studies that showcase their expertise and success. Adlib helps organizations in the Energy, Life Sciences, Insurance, and Banking sectors by unlocking the value in unstructured content. Integrating with key business tools, Adlib’s platform is designed to discover, enrich, classify and visualize unstructured data in support of GRC, enabling clean and informed content for better decision making. As a Microsoft Gold Partner x 5, operating across the UK, Bridgeall has successfully delivered real business improvement, through Enterprise Content Management solutions, to a variety of organizations across diverse industry verticals, always on time and within budget. They call it ‘Delivery Certainty’. Core competencies include Office 365, SharePoint, .NET and Azure Cloud. Concept Searching, part of Netwrix Corporation, is the industry leader specializing in semantic metadata generation, auto-classification, and taxonomy management. Its technologies encompass the entire portfolio of unstructured information assets in on-premises, cloud, or hybrid environments, and are integrated with all versions of SharePoint, OneDrive for Business, Exchange, and file shares. Gimmal software provides the unique ability to manage information no matter where it exists. Their products ensure important information is managed across all systems with audit-ready policies in SharePoint, Office 365, Legacy ECM platforms, file shares, and in physical formats. Content can be stored in secure record centers or managed in-place. As a certified Microsoft Gold Partner, HELUX specializes in information architecture and design, regulatory compliance, taxonomy development, governance, search optimization, and records management. Their goal is to always provide the perfect balance between the ease of use that users expect with the compliance and governance that your organization’s needs. Information Leadership is New Zealand’s foremost information and knowledge management experts. Awarded ‘Microsoft Government Partner of the Year’ in 2017, they provide you the tools, methodologies and training to deliver proven records, content and knowledge management solutions. Intelogy is a UK-based Microsoft Gold partner since 2001 specializing in Microsoft 365 and SharePoint with a practice dedicated to information management & compliance. They work with clients who recognize the potential for technology to transform their businesses, and help them visualize, define and realize solutions that change how you work for the better. K2's process automation platform makes it possible to deliver integrated, mission-critical process automation at scale and quickly roll out lightweight departmental workflows across the business. The K2 platform makes it easy to deliver simple or powerful workflows, feature rich forms, and deep analytics to help you automate your processes. KnowledgeLake is the world's best cloud capture solution for scanning, uploading, tagging, classifying, and organizing content for SharePoint and SharePoint Online. Nintex allows you to automate processes in minutes using an intuitive, browser-based, drag-and-drop workflow designer. The easy-to-use tool reduces the work involved in building, using and improving processes with a few clicks – not code; Nintex Workflow, Forms, Mobile, Analytics, Mobile Apps, Document Generation, Connectors, and Xtensions. Perficient’s 150+ certified Microsoft consultants help companies navigate modern productivity, desktop deployment/management, and enterprise mobility and security. They offer strategy, implementation, and support services across Microsoft 365. Named Microsoft’s 2017 US EPG Partner of the Year for Office 365, they have migrated 4M users to Office 365. Protiviti is a global consulting firm with experts in risk, advisory, and transaction services. They help solve problems in finance, operations, technology, litigation, governance, and compliance. Protiviti serves clients through 70+ locations worldwide. Protiviti provides a host of consulting and audit solutions to over 60% of the FORTUNE 1000®. RecordPoint Records365 provides federated information and records management across a variety of content services, such as Office 365, SharePoint Online and On-Premises, Exchange, and more. Their Compliant Migration as a Service Offering allows you to migrate off legacy ECM systems and non-compliant cloud services. SkySync is a world-class enterprise content integration and migration platform that sits in the middle of your world, unifying your systems to provide singular control – while dramatically reducing risk and complexity. SkySync empowers your people with the content access they need to be more agile, eliminating your business’s content boundaries. Sword is focused and committed to Digitally Enabling the UK Public Sector by modernizing technology platforms, adapting to new ways of working and establishing secure and compliant solutions which increase productivity, reduce risk and improve overheads. VersaFile invents, builds, and delivers content, process, and automation solutions that are easy to use, functionally advanced, and quick to provide value so customers can better their business. VersaFile docuflow enhances SAP with content, process, and automation. 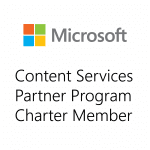 To qualify for the Content Services Partner Program, partners must have members in good standing of the Microsoft partner Network, experience supporting the workloads above, and focus on key industries. 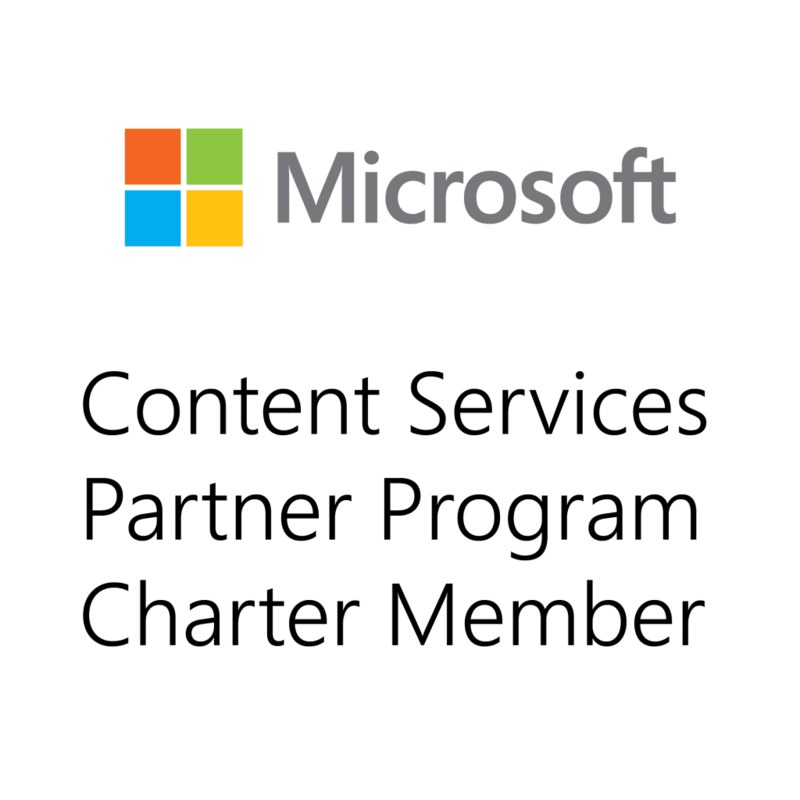 As part of the Content Services Partner Program, charter members are able to work with Microsoft to develop solutions that put customer needs at the center. You can recognize a Microsoft Content Services charter partner by the use of one of these Microsoft Content Services Partner logos. 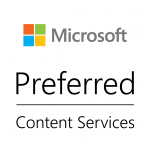 Interested in registering for the Microsoft Content Services Partner Program and missed the first round? Check this space for more information on when registration re-opens in 2019.